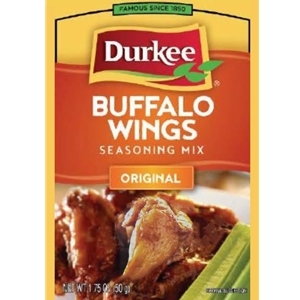 Make delicious, tasty Buffalo wings in the comfort of your own home with Durkee Original Buffalo Wings Seasoning Mix. Perfect for the big game or a flavorful snack, legend has it that Buffalo wings originated in Buffalo, New York. 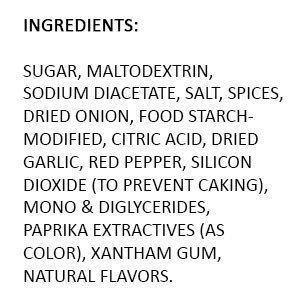 Durkee Original Buffalo Wings Seasoning Mix's no-mess cooking method has these wings ready in 50-60 minutes. 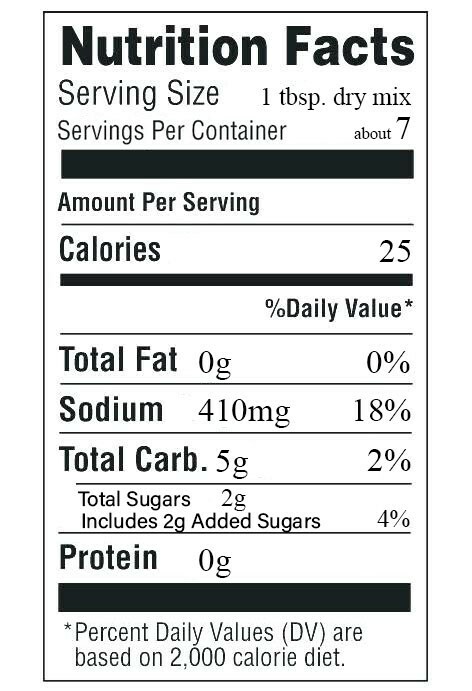 1.75 ounce package. 1. Combine Durkee Meatloaf seasoning mix, milk and egg in large bowl. Add ground beef. Mix well. 2. Lightly press into 8-1/2 x 4-1/2-inch loaf pan or form into 8-1/2 x 4-1/2-inch loaf and place in shallow baking dish. 3. Bake at 350 degrees F for 1 hour. Brush top with 1-1/4 cup ketchup or barbecue sauce during last 5 min. of baking time.